Will David Silva inspire Manchester City to a title-clinching victory over Manchester United? 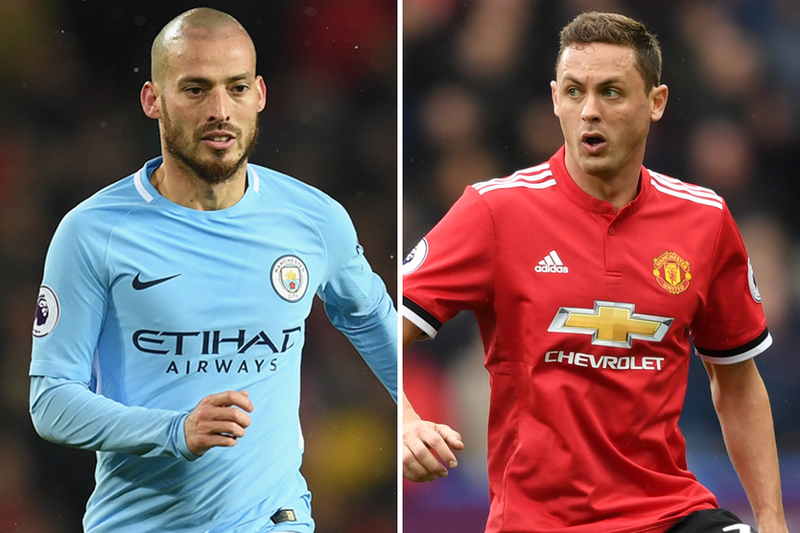 Or will Nemanja Matic help United s become the first side to win at Etihad Stadium in the Premier League since December 2016? Marc Harrington, of Sky Sports, looks at the key battle in midfield of Saturday's derby. Silva has been City's most creative force over the past eight seasons. No player has made as many as his 75 assists and 663 chances since his arrival in England at the start of 2010/11. This season the plaudits have largely gone to his team-mates. But Silva has still made 11 assists and created 54 chances, second only to Kevin De Bruyne in both categories for City. The 32-year-old has also scored nine goals in all competitions this season, his best total since scoring 12 in 2014/15. And since the start of March, Silva has been City's main man. With three goals and three assists in four PL matches, only Mohamed Salah, with seven, has been involved in more goals during the same period. Silva has also created 11 chances from open play, the joint highest for City with De Bruyne and second most in the competition behind Eden Hazard. If United are to put their neighbours' celebrations on hold, they will need Matic to be at his best. The Serb is the only outfield player to start all 31 Premier League matches for Jose Mourinho's side this season. No United player has had as many touches, made as many passes or made as many tackles as the midfielder. Matic's greatest skill is gaining possession of the ball. No other outfield player has done this as often he has since his return to the Premier League in January 2014. Indeed, the only midfielder to have made more tackles and interceptions than him during that time is N'Golo Kante. Matic's ability to break up play and engage opposition players will also be of major importance against City.